If you are a past or current customer, feel free to tell us what you think of our services. Your testimonials are a great motivator and a reminder to us why we continue to strive for nothing less than to provide a superior landscape design service. If you would like to submit a testimonial, please get in touch with us through our contact page and we’ll get it posted here. Christopher was recommended to us by a prominent Greenwich architect three years ago. Since that time, he has overseen numerous projects large and small around our property. We have very demanding standards for our work to be of high quality, aesthetically pleasing and also very environmentally friendly. To that end, Christopher Smalkais Landscape Design is very thorough in understanding our expectations for each project; they have even persuaded us to go with less costly work several times knowing that doing so will more cost-effectively achieve our objectives. Christopher Smalkais Landscape Design is undoubtedly one of the best landcaping contractors I have had the opportunity to work with. I have worked on many projects of various scale throughout the years and with each project I recognize how valuable Christophers’s contribution is. His entire team is adept at tackling each task with equal enthusiasm and care. The quality of construction that they bring to each job, sets them apart from the rest. I look forward to continuing my relationship with Christopher Smalkais Landscape Design for many years to come. We feel extremely fortunate that we found Christopher Smalkais Landscape Design design and install our patio. As new homeowners, we needed a lot of guidance throughout the entire process. From our first meeting, Christopher and his team were kind, professional, and organized, and they provided realistic timelines. We asked them to accommodate a very aggressive finish date, and they never missed a deadline. 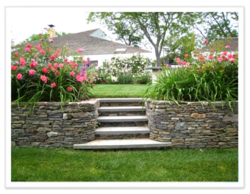 Breathe new life into your home property with Christopher Smalkais Landscape Design, LLC. Please give us a call today for a free estimate. We are more than happy to assist in any way we can and look forward to working with you. Copyright © 2014, Christopher Smalkais Landscape Design, LLC. All rights reserved.